I was at the 2010 ACDA Western Division Conference in sunny Tucson in 2010- a very nice break from Chicago winter weather. It was my first time attending a western division conference, as well as my first trip to Tucson, and it was a wonderful experience. The funky and historic Congress Hotel I stayed in was lots of fun. The entire conference was quite a success thanks to organizer Cheryl Anderson and many other folks (you can read what I blogged about it here and here). Weston Noble gave the keystone address for the conference and it was brilliant. In fact, from the time I heard it I hoped that I could get in contact with him and ask if I could reproduce it here for folks who weren't lucky enough to be in Tucson that day. Dr. Noble has graciously agreed to my request and what you will read now is his speech in full- I have done no editing whatsoever. Now the Johnson Professor Emeritus of Music, Weston Noble had a 57 year tenure as a conductor and teacher at Luther College in Decorah, Iowa. He received wide acclaim as conductor of the Nordic choir from 1948 to 2005, the Concert Band from 1948 to 1973, and as a guest conductor for over 900 music festivals across four continents. 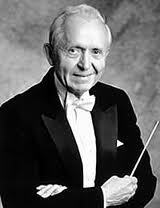 Weston Noble holds five honorary doctorate degrees and was also a recipient of the ACDA Robert Shaw Award. In the fall of 2011 he will be Resident Director at Augustana College in Sioux Falls, South Dakota. and my mother asking me if I would like to take piano lessons 82 years ago. Unforgettable memories with such power we are transported into a world without words – our spirit world! Such moments filled with a transforming power, a power so strong that an electrical impulse causes two cell neurons to join awaken new places in our brain, never to be separated –creating a new pattern of thinking, a new pattern of life set forever. We experience shades of emotions never felt before. Who we are deepens. Our palate of enrichment enlarges. Life becomes forever richer! And wonder of wonders we are no longer just recipients, but we are also TEACHERS. Just As our brain patterns have been changed through our years, now we are an ingredient catalyst of for CHANGING LIVES of students through MUSIC on a daily basis! How do we bring this chief characteristic of good teaching into our rehearsals? First, may I preface this by sharing a very practical personal experience? A year ago I would not have dared to be this vulnerable as I am about to be. Enter a friend named Jabez, an Old Testament personality, who emerges only once in Scripture and briefly at that. He was noted for his expertise in prayer, addressing God with four basic ingredients. It is his second ingredient that is relevant here – that my sphere of influence might be increased today! We are all challenged by pride when success is enjoyed. This temptation is greatly reduced if we experience success in the context of an opportunity to increase our sphere of influence. I pray this daily. Now, how do we bring vulnerability and openness into our rehearsals? All of us can recall an exceptional rehearsal/concert. A note of gratitude, flattering to say the least, is received. We want to believe every word, even though these kind words cannot be true on a daily basis. Last summer, I experienced five consecutive rehearsal days and a concert with an alumni choir that will be forever memorable. I savor even yet the joy, the love, and the ensemble maturation. With trepidation, yet with the deep desire that my sphere of influence may be increased, I share this message written by the Alumni Choir accompanist, Joan Mork, a Luther student of the 50’s. Thank you from the depths of our souls for another memorable Alumni week! Each of us comes with a different story to express through music. You, magically, help us find these stories…even baring our souls in ways we can hardly imagine – and then you affirm these stories and who we are! We all left feeling trusted and loved. The renewed energy and peace is such a gift. The content of this note brings tears to my eyes even yet. It is truly beautiful. But this begs the question: how did this happen? Until a few years ago, I could not attempt an answer. Maybe I could not see the ‘woods for the trees’. One colleague termed it an unexplainable gift that cannot be dissected. Not satisfied, I wrote Joan and asked HOW her experiences came about. Her answer implied it had to be of the spirit with no soul words to explain it. Still the question: How did this happen to Joan? These thoughts are in response to a lecture: Neuroscientist Villayanur Ramachandran outlines the fascinating functions of mirror neurons. * Only recently discovered, these neurons allow us to learn complex social behaviors, some of which formed the foundations of human civilization as we know it. Mirror neurons encourage an empathetic response—a response which breaks down the barriers between people. Dr. Boers: When we are conducting, we want to fire stimulate? mirror neurons so they can imitate and emulate what we as conductors are feeling physically and emotively. In other words, so that our singers can feel what we are experiencing physically and emotionally. Can we develop a set of conducting gestures that assist in firing a mirror neuron through our patterns, physical cues and other suggestions that can fire mirror responses in others? Curiously, following Dr. Geoffrey Boer's email, Joan Mork shared a conversation with her husband, a member of the alumni choir by convenience, in which she asked how she had been guided to her feelings previously shared. I am very uncomfortable in sharing his response but hopefully expanding my sphere of influence: I am inspired by the way he lives his life. He brings his whole self to the podium. He is consistently honest, he laughs and cries, he hurts and loves, he explains, respects, and forgives, he demands and is humble, he is generous, he hears and listens, and there are moments when I feel like he is my biggest fan! But this begs the question: how had I become that vulnerable to fire those mirror neurons? Back to Howard Swan. He, in asking his singers if they had shared themselves with someone else, was opening the door to the shadow side of each individual. Any shadow element? Fear or dark side to ourselves that inhibits vulnerability can be an obstruction to the flow of the power of music. It that is becomes the opposite of openness; a challenge to the freedom of inhibits the ability to stimulate mirror neurons. A study conducted several years ago shows the average person thinks negatively NINETY-FIVE PERCENT of the time! NEGATIVISM and JUDGEMENTALISM do not belong in a rehearsal hoping to release mirror neurons! Conversely, vulnerability frees CREATIVITY and enhances FREEDOM, RESPECT, and LOVE. Vulnerability opens us to embrace SENSITIVITY, BEAUTY, and DEPTH as music is encountered! VULNERABILITY IS A GROWTH PROCESS, DEGREE BY DEGREE. It is a life-long pursuit. No wonder it is the chief characteristic of an outstanding choir director. EVERY AREA of one's life becomes the beneficiary! Now, listen to Howard Swan’s words of wisdom following the choir’s response to his question of vulnerability: All of you should have raised your hands when asked if you had shared yourselves with someone else. Recall those moments when you, as a singer, were experiencing those innermost feelings brought forth by the music whether in concert or rehearsal. You were giving your all – totally open. But you had the freedom to do this in that the person on each side of you became your ‘Linus Blanket’! [READ APPENDIX- STORY OF THREE SQUEEZES] He was also saying: "Without vulnerability, you can never truly pursue the beauty of Brahms." Many of you are aware of the three methods of teaching: cognitive, affective, and kinesthetic. Affective employs a great use of IMAGINATION, imagery as to the intent of the composer. As you ask questions utilizing the student and his/her feelings for this moment of the music, you are enhancing the presence of collective physical and emotional responses. The firing of mirror neurons is greatly enhanced! I VIVIDLY REMEMBER NOTICING GREAT INSTRUMENTAL AND CHORAL CONDUCTORS BEING NON-TRADITIONAL IN THEIR CONDUCTING PATTERNS. WHY WAS/IS THIS SO? WERE THERE CONDUCTING GESTURES FURTHER ENABLING THE RELEASE OF MIRROR NEURONS, AS OPPOSED TO THE MORE TRADITIONAL BEAT PATTERN?WHAT WAS PARAMOUNT WAS THE POWER OF COMMUNICATION, THE BEAT PATTERN BEING SECONDARY. NEVER NEGATE THE POWER OF THE FACE. YOUR FACE, ESPECIALLY YOUR EYES MUST BE PART OF GESTURE. EYES NEVER LIE! In conclusion, every person in this room changes lives. At our best, and sometimes at our worst, we connect with our students through activated mirror neurons. Does your life consist in activating mirror neurons both ON and OFF the podium? Is your life one of spreading your sphere of influence? May your touches, hugs, smiles, and affirmations be a moment of freeing awakening a MIRROR NEURON of a colleague at this convention. I predict the Tucson sky will be flooded illuminated and charged with all the freedom of our mirror neurons! My interviewer was very perceptive. His questions were very thoughtful, and I found myself anticipating each one. Then, this question: "Weston, what is the chief characteristic of an outstanding choir director?" Somewhat flustered, I poked here and there, but without a definitive answer. He smiled and said: "Weston, are you trying to say VULNERABILITY?" I felt a tingle go from my head to my feet; I knew he was right even though I was not certain why. The common ingredient of the two above stories is VULNERABILITY-OPENNESS! In January, I participated in a project called Arts in Prison. This program was started by the vulnerable Robert Shaw, and recently revived by Charles Bruffy, conductor of the Kansas City and Phoenix and Chorales. Two hundred and fifty singers from the Kansas City area volunteered to be members of an ad hoc choir (at the cost of forty five dollars per singer), the purpose of which was to share a program of choral music with members of the nearby prison choir. The prisoners' chorus meets weekly and is conducted by a volunteer. A three hour rehearsal preceded the joint concert, held in a beautiful concert hall in Kansas City. The prisoners listened enthusiastically to our music from the third balcony under the supervision of the guards. Then, they came to the stage and shared their music with us. They were surprisingly good! Our standing ovation was prolonged and sincere. Tears were evident in both choirs. In each of our hearts, there was a total absence of any judgmentalism of the prisoner's past life experiences. It was enshrouded by the love of sharing beautiful music with one another. As a conclusion of the joint concert, the prisoners came to the stage for a photo op. I found myself in their presence with no guards on the stage. I took this opportunity to shake hands and congratulate each and every member of the choir. One prisoner sought me out afterward and said with tears in his eyes, "you can never know the meaning of receiving such a standing ovation when you have been told all of your life you amount to nothing"
A Nordic member, when giving his devotions prior to a Nordic Choir concert on tour, shared the meaning of his squeezing the hand (s) of the person next to him during a concert. This would occur at a moment of exceptional beauty within a selection or his being moved by the singer(s)' performance next to him. But the greatest three squeezes would simply mean: I love you! The following is a proposal from Dr. Boers for future collaboration. 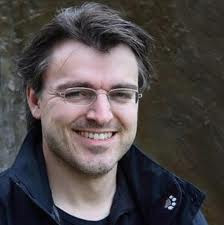 This session will focus on the evolutionary nature of conducting pattern and gesture, and will consider changes to technique and process based upon recent research in brain science, particularly our understanding of mirror neurons...... Session leaders Geoffrey Boers and Weston Noble will explore gestures and rehearsal style that will encourage this type of brain action to become a consistent experience in rehearsal and performance, so that transcendent experience becomes a part of our technique, and ultimately, transformational for the choir. Coming Monday, May 2nd-- a two part interview with Ethan Sperry, Director of Choral Activities at Portland State University, and newly announced Artistic Director and Conductor of the Oregon Repertory Singers, Oregon’s most distinguished adult chorus. 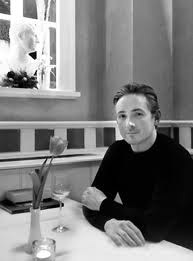 Ethan also is editor of the amazing Global Rhythms series at earthsongs. One of my biggest supporters has always been Dr. Nancy Menk, director of choral organizations at the famous St. Mary's College in South Bend, Indiana. Nancy has commissioned works from me both for her college choir and her mixed choir, the South Bend Chamber Singers. I have always been a great admirer of her musical wisdom, and her amazing dedication to her craft and to the people she leads. Recently the St. Mary's College Women's Choir went on a tour of China. This wasn't your usual tour- Nancy did the research and work to make it special. 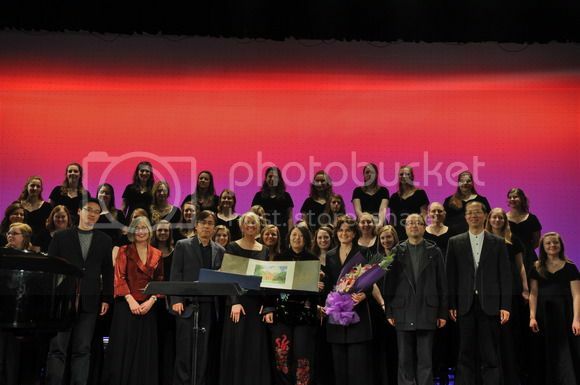 They traveled to Nanjing and did collaborative work with the Nanjing University women's choir there. They rehearsed together, presented concerts together, and shared world views with each other. You can read the blog the students wrote about this experience by clicking here. It's fun reading. When the tour came to an end they gave a homecoming concert back at St. Mary's. Nancy worried that the choir would be jet lagged but I told her, I'm sure the adrenaline of a performance will see them through. So Aidan (my fun-loving seven year old) and I took a mini road trip to Indiana. Aidan is all about road trips, even choir concert road trips with Dad, which you can read about (it is hilarious) here. I had two motivations for going- the first was the fact that the choir had taken my piece "Winter Solstice" for SSA/harp or piano, published by Roger Dean, on tour to China with them and they had added a solo dancer to the performance. I was quite intrigued by this presentation idea, and I was really looking forward to getting a chance to see this performance live. The second motivation was the fact that my new arrangement of the school song,"The Bells of St. Marys" (yes, that song, which you may know through the old Bing Crosby movie) would be performed at the end of the concert and I had yet to hear the new arrangement. In regard to this, I was very honored that Nancy entrusted me to write this piece. She wanted a new arrangement with piano, as they already had an a cappella version they had been doing for years. I felt this was a big task-- I needed to get this arrangement just right to do a famous school song honor. So I was looking forward, with crossed fingers, to finally hearing this sung by real people, not just as a Finale file playback. So Aidan and I got to St. Mary's in plenty of time and we settled into our seats in the beautiful Loretto Chapel. Nancy and the singers entered and were greeted by very enthusiastic applause- it was obvious that the folks of St. Mary's were proud of them and glad to welcome them back. The concert wound through some very nice repertoire by mostly living composers, including a very interesting Missa Brevis by Anna Cederberg, a Lux Aeterna by Michelle Roueche, and pieces by Ola Gjeillo and David Brunner. The Cederberg seemed to be the most interesting-- I sensed a nicely original "voice" and I would like to delve into this piece some more. Then, after three very fresh and delightful Chinese folk songs the choir arrived at Winter Solstice. I settled into my seat just feeling very happy and curious about what would happen. The solo dancer, Jinqui Guan, a St. Mary's senior who is from China and will attend grad school at Harvard in the fall, took her place. The music started and the dancing was so beautiful and natural. Everything she did fit the poetry and my music so magically, that I found myself paying so much attention to the dancing that I was almost ignoring the music. But when I did refocus on the singing what I noticed was the most amazing phrase arc/line- Nancy and the choir had sung this piece enough times that they knew exactly how to nuance every phrase to its maximum expressiveness. I was just so happy to hear a piece of mine sung so artistically and in such a manner as to reflect, through beautiful phrasing, the beauty of the Southwest U.S. nature/winter solstice texts. I was moved deeply by the performance and even Aidan seemed really drawn in (you can't expect a seven year old to totally get all these things of course- he is pretty artistic but he's also about Pokemon and Yu-gi-o card games too). The concert then finished up and I just had to thank everyone involved. I told Nancy that I thought it was the best St. Marys College Choir concert I had ever heard. I profusely thanked Miss Guan (it turns out she has training in traditional Chines dance, as well a ballet and modern), and also their amazing new pianist Allison Secaur. Allison rocked the entire night- whether it was subtlely nuanced music like Winter Solstice or great gobs of notes like in Stephen Paulus' "I cannot Dance, O Lord", which was also on the program. I hope Nancy can keep Allison in this position for a long time, she is one of the finest choral accompanists I have ever heard. The singers were all happy-- I know they were tired but it was obvious that they were so proud of what they had accomplished in their travels to China and proud of their homecoming concert at St. Mary's. I was also really pleased that the dean and the president of the school were there wearing proud smiles and came and chatted with me. It's so wonderful to see their support of what Nancy has been doing at St. Mary's for the last twenty-six years. And I as well am proud to call Nancy a good friend and very proud of how she has shaped so many of the lives of her students. She has also been a true leader in the advance of women's choral music in the US over the last twenty-five years. She's been there from the start when this movement to elevate women's choral music to a high level of artistry began. And, as a composer, I truly appreciate how she and others like her have encouraged gifted composers to set quality poetry for this voicing. Here is a video an audience member posted to youtube of the Winter Solstice performance- yes, I know a gentleman's head is partly in the frame! I believe the college will have an official video out soon. PS The "Bells of St. Mary's" arrangement was sung beautifully as well. Aaron Copland let me borrow a few very American harmonic ideas (think "Our Town") that help express emotions of love, fellowship and reminiscence. I am very happy with what I wrote for them- something that hopefully will touch the hearts of singers and alums. In 2008 I was the guest conductor for the District One Pennsylvania High School Honors Choir. This is basically the top "area" of Pennsylvania as it encompasses the high-achieving schools of suburban Pittsburgh. When you appear as a guest conductor/composer people want you to conduct some of your own music. The piece I chose of my own was my arrangement of the Armenian folk song Loosin Yelav, published by Santa Barbara, which was originally commissioned as an SA/piano piece by Mary Alice Stollak for the Michigan State University Children's Choir. In Pittsburgh we did the SATB version, which also includes a solo violin part, which was played by a high school student. The rehearsals and the concert were a blast. The kids were really great and were very dedicated to the work, and the organizers provided us with an amazing pianist named James Burns. I was also blessed with a lot of support from host director Lorraine Milovac, who teaches at Upper St. Clair High School and also the University of Pittsburgh. FYI, the piece we had the most fun with was Rene Clausen's Jabberwocky, which to me is a perfect HS honors choir piece. It is so full of imagination AND has so many challenges for an aspiring high school choir- challenges in regard to tone color, storytelling & expression, tuning, rhythm, placement of consonants, you name it, the piece has so many avenues for artistically based teaching moments. The dads of one of the singers has created two videos to accompany the recording the organizers made. One of them is Jabberwocky (which I might post later- you can find it on Youtube) and Loosin Yelav. Loosin Yelav (The Moon ha Risen...) is a folk song praising the rising rosy moon. It moves back and forth from a contemplative tone to more dance like moods. It was set famously by Luciano Berio back in the 1960's for soprano solo and it was that Berio setting that Mary Alice Stollak used to sing as a concert soloist. After many years, she thought I might be the composer best suited to setting this for choir. In retrospect I am glad she asked for this piece- I would never have thought of setting an Armenian folk song! Anyway, here is the video created by "BWCDAD". I'm not sure the translation on the screen is the greatest (I think we did a very nice job on that for the Santa Barbara publication of the piece), but I do believe that the images of Armenia are fantastic- what amazingly unique images of a people and a country! So thanks "BWCDAD" for creating this video! s Choir- veyr nice singing and interpretation! Mary Alice Stollak is a double Grammy Award winner ("Best Choral Performance" and "Best Classical Album") for preparing the Michigan State University Children's Choir for the acclaimed Naxos recording of William Bolcom’s "Songs of Innocence and of Experience". 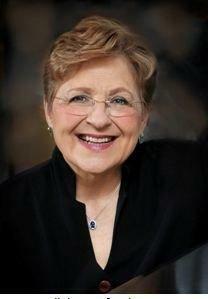 She is also a recipient of the Maynard Klein Award for lifetime achievement given by ACDA-Michigan. While residing as founding artistic director, over thirty new treble choir works were commissioned and premiered by the Michigan State University Children's Choir under Stollak’s leadership. Santa Barbara Music Publishing Company publishes the Mary Alice Stollak Choral Series, a set of treble choral publications that presents works by national and international composers in a variety of musical styles. Stollak has appeared as festival guest conductor and workshop presenter in twenty-two states as well as Argentina, Canada, Germany, and Italy. Stollak served as the choral director for the National High School Music Institute (NHSMI) at Northwestern University for twenty years and for the Haslett (MI) Middle and High Schools for ten years. She also served as Director of Choral Activities at the University of Michigan-Flint. Her choirs have performed at numerous ACDA conventions at the state, division and national levels. PC: In watching you conduct I have always admired your sense of phrasing and use of rubato. How did this beautiful sense of phrasing come to you? Was it the influence of a teacher, or years of experience, a combination? "As we get better at performing a skill, our conscious memory for how we do it gets worse and worse." - University of Chicago sports and motor learning expert." In other words, I’m not sure why, as a performer or conductor, the beauty of line is almost everything to me as a musician, nor is it easy for me to describe what I do…I just seem to do it. There are a few possible experiences, however, that have made a difference in how I interpret music, some of which may be found in your question about my life before the MSUCC. Choral music, for me, was an extension of performing art song. I gave bi-yearly recitals at MSU between the late 60’s until the mid-80’s and spent countless hours searching for literature by listening to the best recordings of singers that I greatly respected. I specifically listened to art song recordings…Renata Tebaldi, Victoria De Los Angelus, Janet Baker, Elly Ameling, Joan Morris, and Lorraine Hunt Lieberson, to name a few. I LOVED how these singers treated phrases, how each could hang on a word for just the perfect length of time to give it meaning, how they gave the impression that what occurred between the notes was as important as the notes themselves. (Some day listen to Lieberson singing the Bach Cantata BWV 82, “Ich Habe Genung”…it’s breathtaking.) It is that communication between singer and listener…that belief that each phrase has power and that it touches the hearts of the singer as well as the listener. This became my mantra in each and every rehearsal. We used every analogy possible to be sure that what we did had meaning and that the text and the line was not done-in by being notey. In Howard Swan’s book “Conscience of the Profession” there is a wonderful chapter about the need to talk about beauty throughout each of our rehearsals. I was teaching at Haslett High School at the time. What an eye opener for me! Because of this, the concept of beauty was foremost in everything that we did, including the warm-up. Too often, warm-ups are perfunctory. I strove to make each warm-up simple. While warming-up, I remind my singers that they are young artists…they would beam when I’d tell them that…and even within the warm-up their goal is to produce an artistically pleasing sound. This gets them to concentrate more and to see the warm-up as something less tedious that prepares them for the beautiful (not just accurate) tone that is needed to help in interpreting the music. PC: We mostly know you from your amazing work leading the MSU Children’s Choir, yet you taught many years before that outside the children's choir realm. Can you tell us more about those years of your career? MAS: After graduating from Indiana University, I was mostly a solo performer, singing a lot of oratorio and symphony works for mezzo-soprano and orchesta. My first love, however, was the art song. After our three children were all in school, I taught at Haslett Middle School & High School, (which then had only 450 kids in the high school) and built that program from a half-time position to a full time choral program. In my ten years there, we sang for two Central Division ACDA Conventions. From there, I taught at the University of Michigan-Flint where I was Associate Professor of Music. While there, I instituted the annual Black History Month concerts as part of the university’s outreach mission, as well as focusing on 20th century choral music, and performing music by women composers. For about 20 years, I spent five weeks each summer as the choral conductor for the National High School Music Institute at Northwestern University. It’s been a great ride! PC: What motivated you to found the MSU Children’s choir? Can you tell us about its early stages? MAS: I will always be thankful to Jim Forger, Dean of the MSU College of Music for asking me to direct a children’s choir in the newly formed MSU Community Music School. I had no idea at that time, that young children were capable of creating such artistry! We started in 1993 with a very small choir of about 22 children who were in the early elementary grades. Each semester, the number of children joining the choir grew and with each performance, their parents and others in the community became increasingly and amazingly supportive of this organization. Fast forward to 1998—five years from our founding, our 70 voice choir sang in performance at the ACDA Central Division Convention. I guess that even when it was just a neophyte group, I tried to instill in our singers a love of excellence for its own sake, that they love making music for its aesthetic experience, their ability to touch others through beauty, and even the simple joy of doing it right. I always searched for quality literature, and let me just say what a pleasure it has been to perform music by composers such as you, that write with such sensitivity…it made the children’s experience so much more meaningful! Back to the support of the children’s parents…in my 16 years with the choir, we commissioned 30 works, one of which was “Angels Voices” by John Burge, a five movement work for choir and full orchestra that later went on to win the Association of Canadian Choral Conductors’ 2006 Outstanding New Choral Composition. This was all made possible by the support of our choir families! PC: The choir appeared at the Sixth World Symposium on Choral Music as the Official Representative of the United States. Can you tell us about that experience both from your viewpoint and also what the kids in the choir experienced? MAS: This was the turning point in the choir’s history up until that time, and needless to say, we were all excited to sing in such a wonderful venue and experience such a warm and exuberant audience! However, there was one experience that touched our singers and that allowed all of us to take home an unexpected memory that the singers still mention, when I meet with them—and who are all now adults. We were chosen to sing the premiere of the Moses Hogan piece, “Music Down in My Soul.” The day before the performance, we were given the opportunity to work with Moses Hogan on his piece. He engaged the singers with great fervor, with empathy, with passion and with humor. His focus was mainly on the text and how to make it more meaningful within the gospel tradition. What a stirring experience for all of us! This was August of 2002. You can’t imagine the visceral reaction of our children when only 6 months later, after learning about it, I ended a rehearsal by telling the children of Moses Hogan’s untimely death in February of 2003 at the age of 45. We extended our rehearsal time, and with tears in all of our eyes, especially in the slow, lilting section of this piece, we began singing. With many hugs at the end, we celebrated our wonderful experience with him that we were blessed to have been given. PC: At your farewell concert leading the MSU Children's Choir, among other works you performed Robert Jager's "I dream of peace,"music about the civil wars in the Yugoslavian/Bosnian area in the 1990s as seen through the eyes of children. Can you tell us more about this piece and what about it that resonates within you? MAS: The first time I conducted this piece was for the 1999 ACDA National Convention in Chicago, at an interest session on commissioning new works for children’s choirs. In our frequent discussions about the meaning of the texts, there is always an “ah-hah” moment when individual choir members connect with the emotional imagery that was before them. The text of this work is compelling, and at an all-day rehearsal that we had that fall, I asked children to volunteer to read out loud one page of the book, published by UNICEF and to comment on the drawings, with discussion with the rest of the choir members. This brought the children closer to those that wrote the poetry and enriched their understanding of the texts. We premiered the three pieces of the “Terezin Lieder” by Marjan Helms, with texts from “I Never Saw Another Butterfly.” Ten years later we premiered her “Voices of a Vanished World”, which is a two-hour work which explores the emotional and spiritual implications of the Holocaust, particularly as witnessed through the eyes of children. This two hour work draws on the melodic contours and instrumental colors of Yiddish folk music, as well as Jewish liturgical chant. And how does one prepare a children’s choir for the horrifying nature of “911”? Yet, we performed the John Adams, “On the Transmigration of Souls” with Mr. Adams conducting the Detroit Symphony. So…in this case, it’s really about the gravitas of the subject, about the words and the feelings that they evoke. Bill Payne says it more eloquently than I can…he’s a rock-n’-roll musician-lyricist, who has two Grammy nominations and has worked with many entertainers from Garth Brooks and Bonnie Raitt to Taj Mahal. PC: You and the choir were blessed to have a very skilled, very sensitive pianist in Judy Kabodian. Can you tell us what Judy brought to the group both in rehearsal and performance? MAS: Some of us are lucky enough to have very attentive and supportive guardian angels. The nuns who taught me for twelve years in Milwaukee Catholic schools always made us keenly aware of this fact. So for you to use the word “blessed” is exactly right. Judy was not only our pianist, she was a collaborator…it was ALWAYS chamber music when we worked TOGETHER. Judy brought grace to every rehearsal and performance. Judy brought love, and devotion that was a model for the children, and for me. I’ve had the privilege of working with more than several great musicians in my life. None, however, brought to the musical banquet such great personal pleasure. She helped to make the music more harmonious, our musical experiences richer, and the laughter we shared before, during, and after almost every rehearsal and performance brought great joy to my life. I was blessed…very blessed! PC: Can you tell us about the experience which led to you winning two Grammy Awards? MAS: We loved working with William Bolcom and Leonard Slatkin, the University of Michigan forces and observing the fabulous solo musicians on the performance and recording of the Bolcom “Songs of Innocence and of Experience.” What a terrific experience for our children, on many levels. There was an unintended experience that bears mentioning. In a thank you letter that I wrote to William Bolcom I mentioned that we were performing a piece by Imant Raminsh that uses a Shoshone Indian text in which a loved one is described as…“ my heart’s friend.” I went on to say that…”at one point in the rehearsal a few of our choristers observed you and Ms. Morris holding hands. They mentioned that to me during our next rehearsal and I explained that you were married to Joan Morris. They let out a collective sigh. You shared with them your wonderful music, and you also, through your example, showed that even with your busy professional lives, you exemplified the text of this Raminsh piece. These are important lessons for our children.” Mr. Bolcom wrote me that he was very touched by the children’s observation and their response, and we went on to do another performance with Bolcom and Morris about the history of culinary songs!!!! PC: You've been retired a couple of years now from the MSU Children's Choir as well as retired from the many summers in which you led the Northwestern University Summer Institute choir (a select high school mixed choir)-- what are you doing to keep busy? And are you doing any guest conducting? MAS: I have been spending many hours, almost every day when the Michigan weather permits, in our front gardens. I’ll be preparing our home and garden for a charity garden tour this summer…always a performance, huh? I am constantly knitting and trying out new recipes for cookies, cakes, and comfort food for my beloved husband, Gary. He attended not only almost every performance but almost every rehearsal of the children’s choir wherever we performed. I wish all conductors are blessed to have not only a supportive partner but one who loves the learning process and the music as much as we do. I’m also eagerly looking forward to conducting the children’s honor choir for the 50th Anniversary of Minnesota ACDA. I LOVE conducting in Minnesota!!!! I’m also doing some work for the Michigan Chapter of Chorister’s Guild, and with a Federation of Music Clubs Festival Choir. I am eagerly looking forward to the release, on the Naxos label, of “Songs for Lada” by Alla Borsova which should be out by this summer. Slatkin is conducting the DSO on that CD. That performance was my “swan song,” and what a marvelous work it was!!! It called back to my Eastern European roots and I can’t wait to hear it. Oy, oy, oy…how did we ever learn 40 solid minutes of Belorussian and four parts? I guess I’ll find out! From Paul Caldwell: Letting teens know "It Gets Better"
As many of you know, Sean Ivory and I have spent our entire careers using music to tell stories that really matter to us, stories of Holocaust victims, South Africans, Rwandans and many others. But this year, a series of suicides among gay teens made me realize it's time to tell the story that is my own. I work with kids. I must do everything I can to ensure that no kid who sings with me - or who sings music that I compose - feels so isolated and alone that he/she thinks suicide is the only option. Toward that end, I posted a video on the It Gets Better website late last week. Depending on site traffic at any given time, the website can function oddly. If it gives you trouble, there's an alternate portal, a You Tube channel where the folks at It Gets Better have added their favorite videos. Mine was posted there over the weekend. Posted below is Paul's contribution which is so compelling it its beauty and because of Paul's willingness to allow himself to be vulnerable. Bravo, Paul. Please tell other people about this project. You might really be able to help a young person in need. Caldwell goes on to say: It does get better. Please spread that word in every way you can. Post it and forward it - far and wide. Let's make sure that no kid who sings in any chorus walks away from that experience thinking that suicide is a reasonable option. Thanks again for all you do to make our world a more beautiful place. One of the highlights for me at the 2011 ACDA National Conference was getting to meet Michael McGlynn, the founder and artistic director of the Irish choir Anúna. I talked about this in this blog entry. Michael has a brilliant mind and a delightful personality and was especially interested in discussing the shifts in composer/publisher dynamics in the US choral field. I'm going to discuss this in detail soon. There was some very active discussion among many of the leading composers present at the conference in regard to their desire to stop being dependent on traditional publishers. Michael stressed a number of times that we U.S. composers need to keep this enthusiasm for growing independence going, and not let it falter. Here is Michael's wonderfully written blog on his experience visiting ACDA. Read some of his other entries- there is some very interesting reading here. In preparation for the 2011 ACDA National Conference I wrote a fun and slightly goofy blog as a lure for people to get over their hesitation and come to Chicago. Part of my motivation to get to work on this was also the fact that people were starting to talk about coming to "Chi-town" - this sparked me into action, as this "Chi-town" appellation might be something you might hear on a bad TV series but not a name for the city that someone in Chicago would ever utter. So what you got from me was the unofficial, and quite loopy guide to Chicago, Paul Carey style, and here is what it looked like. "If you go east, I would suggest swim trunks and a snorkel. However, if you stop short of falling into the chilly waters of Lake Michigan, you will find a great running and bike trail right near the lake which stretches many miles- also safe day and night. Just be careful crossing Lake Shore Drive to get there. By the way, if you head east straight over from Symphony Center, before you hit LSD (that's Lake Shore Drive, not a drug) you will come across Buckingham Fountain, a really cool large fountain which will probably not be turned on yet (sorry, come back in May or June!). It was a gift to the city from Lindsay Buckingham and Stevie Nicks back when they were flush with large amounts of Franklins." Did you catch it now? The ridiculous statement about Lindsay Buckingham and Stevie Nicks was a plant of false info- like I said, just my devilish, late night at the keyboard way of messing with y'all. The fountain is considered to be Chicago's front door, since it resides in Grant Park, the city's front yard. It is located near Columbus Drive and Congress Parkway. The fountain itself represents Lake Michigan, with each sea horse symbolizing the states of Illinois, Wisconsin, Michigan and Indiana, which border the lake. The fountain was designed by beaux arts architect Edward H. Bennett. The statues were created by the French sculptor Marcel F. Loyau. The design of the fountain was inspired by the Bassin de Latome and modeled after Latona Fountain at Versailles. The fountain was donated to the city by Kate Buckingham in memory of her brother, Clarence Buckingham and was constructed at a cost of $750,000. The fountain official name is the Clarence Buckingham Memorial Fountain. Kate Buckingham also established the Buckingham Fountain Endowment Fund with an initial investment of $300,000 to pay for maintenance of the fountain. Buckingham Fountain was dedicated on August 26, 1927. Here are some final thoughts on what was, to me, an extremely well-organized, highly ambitious, and well-received national conference. Attendance was high- I believe final attendance topped ACDA's hopes by 400 or more. There seemed to be a great positive energy all around. People were having a great time and you didn't hear anyone complaining about things. The exhibitors seemed to have large amounts of merchandise stocked for the conference, especially compared to the very conservative approach they seemed to have at last year's division conferences. I think the exhibitors are feeling that we are coming out of this painful recession. By far my favorite trend was the high number of younger people attending and their amazing enthusiasm. This is what I have been hoping to see- a youth movement blossoming within ACDA and a very bright, innovative future ahead for us all. I also have noticed how many university ACDA chapters seem to be really growing by leaps and bounds and how many students from these chapters were attending. There were amazing performances by many choirs. I suppose I would single out, in no particular order; Anima, Brethren, Kamer, North Central High School from Indianapolis, University of St. Thomas, Millikin University, University of Kentucky men, Lawrence Conservatory Cantala-- with many other choirs being wonderful as well. Interest sessions were hugely valuable and the session rooms were packed. ACDA R and S reading sessions were really well-organized and offered a lot of great material-- I didn't see any of the ho-hum deadwood that somehow happens to wind up on some reading session lists. Th final Saturday was festive in the most interesting (and to some extent bizarre) way. ACDA folks were surrounded by Chicagoans clad in crazy Irish getups for the St. Paddy's Day parade and the Hilton lobbies were full of these folks. There was this festive fun in the streets sort of attached to our great ACDA music during the day, and then the electric performance of Elijah that evening. The CSO chorus and Markus Eiche as Elijah were spectacular. I was greeted by many folks who said- Hey,I read your blog!". Some of them were "famous" choral directors and I was a bit shocked that folks of their stature paid any attention to these scribbles of mine. It felt weird and good at the same time. I was also so happy to finally meet face to face a lot of conductors who have performed my music but with whom I have only had an email or FaceBook relationship with up until this conference. Getting to meet these people the old-fashioned way was really rewarding and fun. Congratulations to Tim Sharp, Jo-Michael Scheibe, and all the fine people who helped them make this happen. We are in your debt for all the wonderful work you did. Bravo! A ferw days ago, actor Kevin Spacey appeared at the Kennedy Center delivering a forty minute speech for the Nancy Hanks Center on the Arts and Public Policy. I hope the video of the entire speech will become available soon, and I will post that when it happens. Spacey's references to the influence of the language of both the Bible and Shakespeare on Abraham Lincoln's great speeches very much resonated with me. Sherri, Aidan, and I were at the Lincoln Birthplace National Park in Kentucky just a few days ago, where the very worn Bible that Lincoln read as a child was one of the items on display. As artists/educators I guess we have to constantly fight for the arts- kind of sad, but it's just the way it is in today's society. It seems like we can't ever let down our guard. The final concert for gold track folks at the 2011 ACDA National Conference in Chicago was a presentation of Mendelssohn's Elijah performed by the Chicago Symphony Orchestra, Chorus, professional soloists, and guest conductor Helmut Rilling. As orchestra hall filled up there was a sea of happy faces- everyone had enjoyed this conference immensely, we had experienced a wacky energy filled day of milling through Chicago on the day of the St. Patrick's Day Parade (a very big deal in downtown Chicago), and were really looking forward to this concert. The CSO chorus was in exceptional form, the best I have heard from them in years. The chorus had been generally ignored for years by former music director Daniel Barenboim, but new director Ricardo Muti intends to make them a crown jewel again, which all the singers plus chorus master Duiane Wolfe deserve. The soloists were excellent, especially the Elijah, Markus Eiche. Eiche brought great energy and depth to the role, even though he did seem fatigued by the end- this is not surprising at all, the man sang the role three times during the week (twice for ACDA, once for the general public). When you think of a week filled with rehearsals plus three performances of this role, he must have been truly exhausted by the end of Saturday evening. The orchestra was in fine form, though a few people nitpicked about them- to me the only complaint I had was some muddiness in the woodwinds and a few other random things. Hey people, this is live music, it hasn't been auto-tuned to perfection in a studio! I was especially pleased with our own audience. Throughout the entire concert I think I truly heard zero cellphones, zero coughs, zero talking- pure silence on our part. This was refreshing, as earlier in the week there was a lot of talking and walking in and out during concerts- especially at the Auditorium Theater. Helmut Rilling conducted the entire score from memory and the performance was highly artistic. The chorus looked especially focused and proud of itself both dung the performance and during the many curtain calls, when Rilling made sure that the chorus got just as much attention as the soloists. Young boy soprano Henry Griffin also received great applause and affection for his role as the boy looking for storm clouds and relief from drought. It was a delight to hear him sing. By the way, Alan Artner's short review for the Chicago Tribune can be found here. With the final concert over most of the crowd wound back toward the Hilton for a final round of refreshments and talk. I was very pleased to be accosted by my friend Hak-Won Yoon (conductor of the professional choir Incheon city Chorale of South Korea) who gave me the biggest smile and hug and then walked back toward the Hilton with me. Hak-won and Mrs. Yoon had been at the conference all week but we had missed finding each other. So we finally got a chance to have a little chat. Some of us composer dudes sat around and chatted with our buddy Steven Sametz and then it was time to say buh-bye to Chicago ACDA 2011. It was a great conference, and I will have some final thoughts in my next blog. Bonus: Here is my own funny little Elijah story. I have two sons, Shannon is 27 and Aidan is 7. The older son was a professional boy soprano back when he was, of course, younger. One of the roles he sang was the boy in Elijah. The first time he sang this role, I of course was more nervous than he was. So I was sitting in the audience and his solo section was coming up. Here I am the Dad crossing my fingers and sending him as much positive energy as I could. So Shannon opens his mouth and sings purely and beautifully, but he sings the words from the second entrance (the note are the same, but the words are different in these two spots). I do a double take and think- well it sounded great- the words were just a little off. Then comes the second entrance- and he sings it correctly. And then he went on and finished up his fifteen minutes of Elijah fame beautifully. I wondered if anyone else had noticed the little gaffe and later I asked Shannon (after of course congratulating him big time) what he though of it all. He sad he realized it just as it happened and then spent the next few bars of music (when he wasn't singing) trying to decide if he should sing the first entrance words on the second time around to "even things out"- which he decided against-- why double the mistake, just sing the second entrance words correctly where they belong (pretty smart on the spot decision-making for an eleven year old). Later when we got home, I was leafing through the program and discovered that whoever prepared the program had typed the second entrance words twice and left out the first entrance words. Perhaps the Elijah we know from various folk tales over the centuries as being a bit of trickster, had been up to something. To anyone in the audience Shannon had sung exactly what the program book was telling them they should hear! We decided this was very curious and very funny, and it's been a great story to tell.